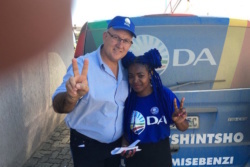 Port Elizabeth – DA mayoral candidate Athol Trollip said on Thursday he had never seen the ANC fretting over results as they were in Nelson Mandela Bay. Addressing media on the steps of the IEC results station in the region, with dozens of DA supporters singing and hanging on to his every word, Trollip said the party had got what they wanted in Nelson Mandela Bay. “Those things we promised the people of PE during campaigning will now come true. From today, corruption is done. From today, we will start creating jobs. And services you had asked for, you will get,” he said. 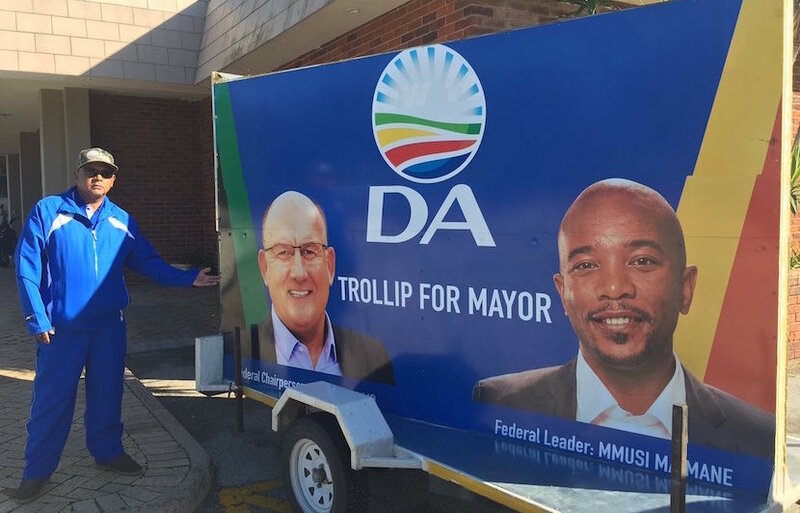 Trollip said their victory started with the Kouga municipality, because the people there could see what was happening in the Western Cape and they wanted it there. “We have won Nelson Mandela Bay. I’m not sure if we had got an outright majority, but we will be the biggest party, we will be putting a government together,” he said. They did not know what the hold-up was in announcing results, he said. “They have known the results for hours but they won’t announce them,” he said. “The people of the Eastern Cape and South Africa have realised they have power in their hands,” he said. He said when change came, it was painful. “Today is the first time I have seen the ANC fretting about results. It is not long now though,” he said. He said they had been a government in waiting in Nelson Mandela Bay for hours.